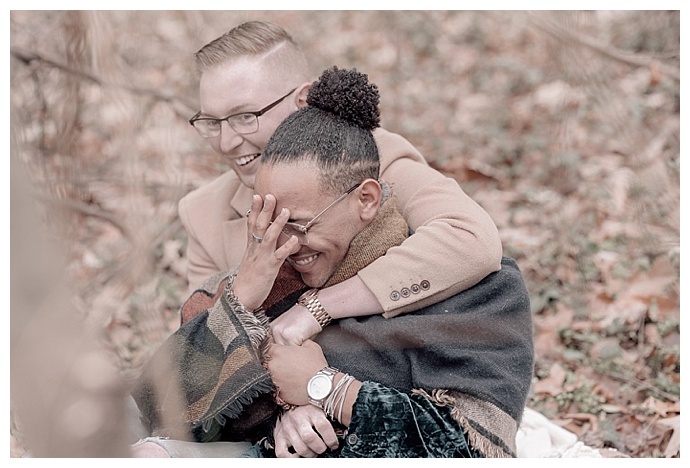 As Zakkry scrolled through Facebook one day, he recognized the same face that kept popping up on his “people you may know section.” He decided to send a friend request, not knowing that the click of the add button would change his life forever. 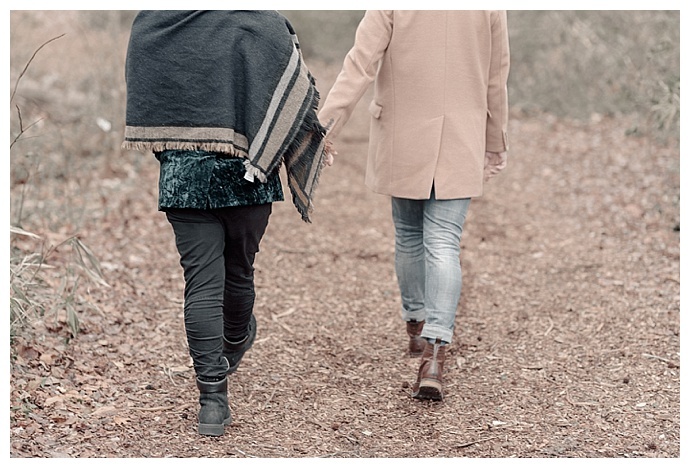 Timothy accepted his request, and Zakkry asked him out on a date. 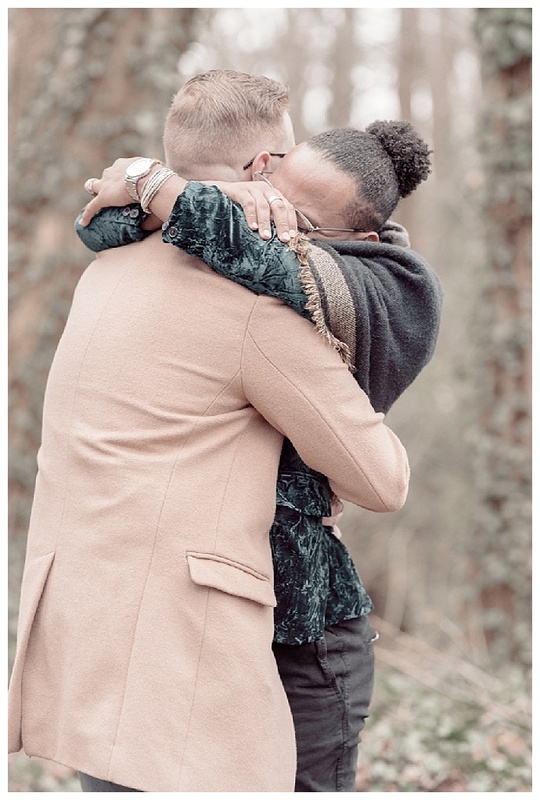 They had an instant connection that soon had Zakkry looking for a ring. 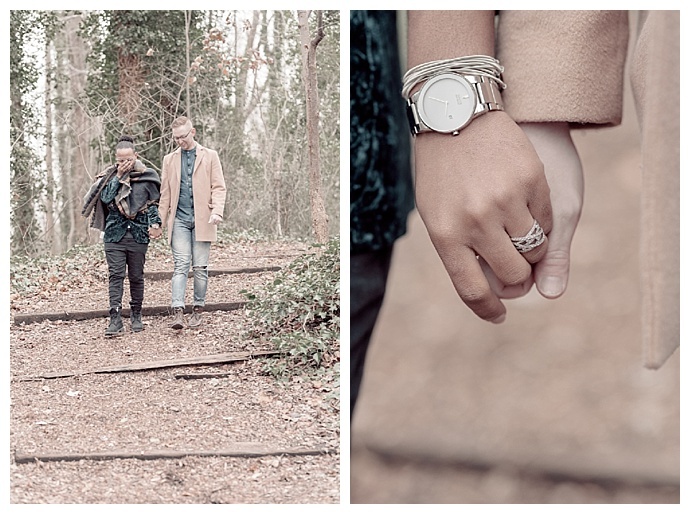 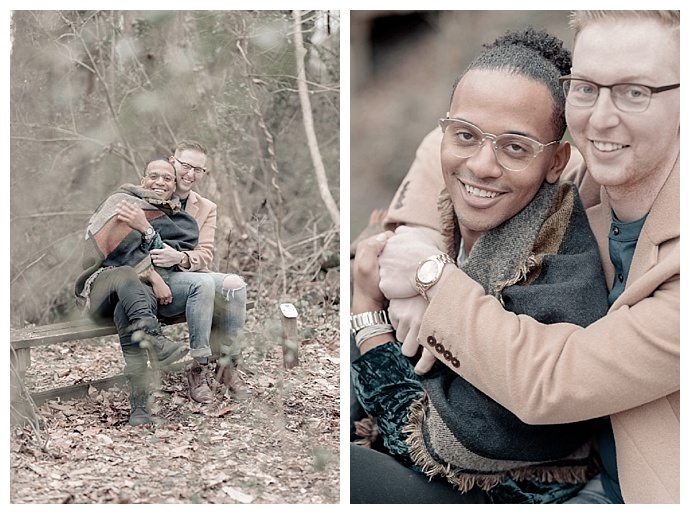 Timothy was under the impression that he and Zakkry were helping a friend with their photography portfolio when they headed to the woods in Chesapeake, Virginia, one day. 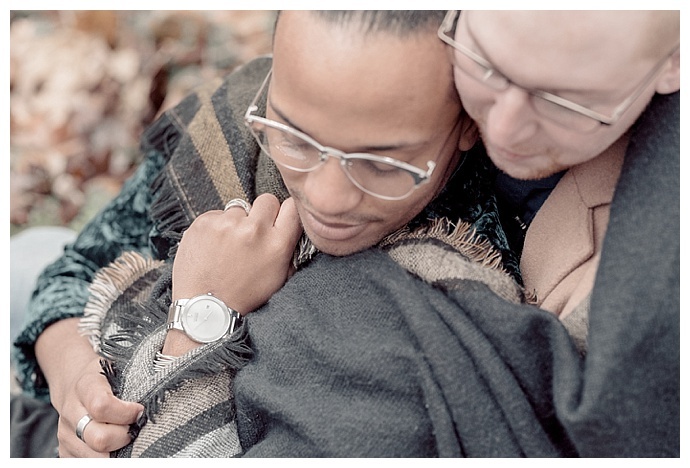 But the truth is, Zakkry had a life-changing question for Timothy, and he wanted to capture the special moment on film. 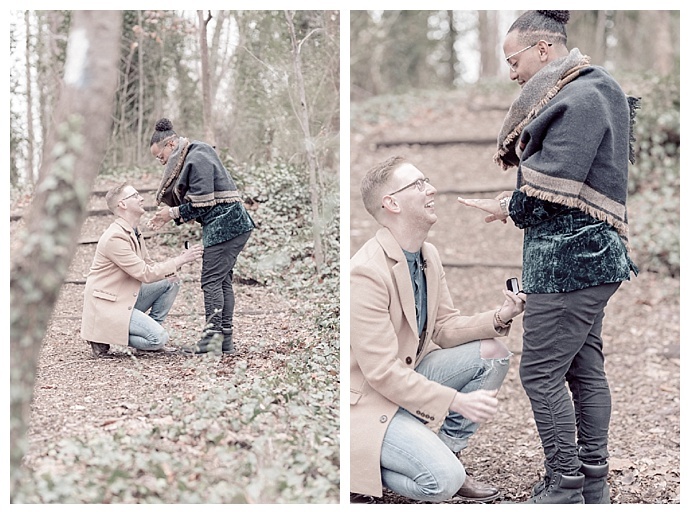 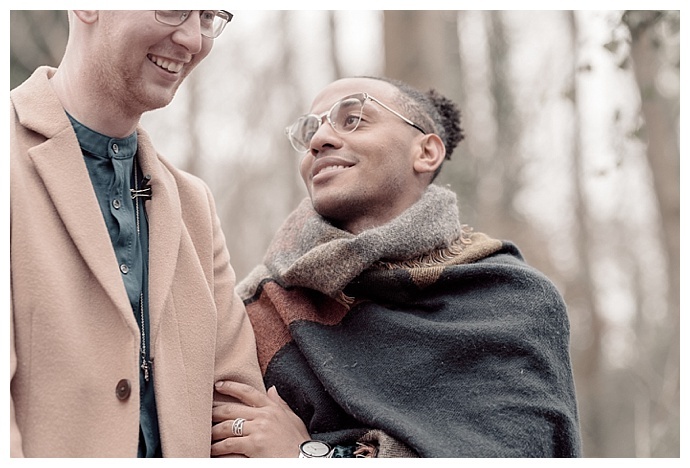 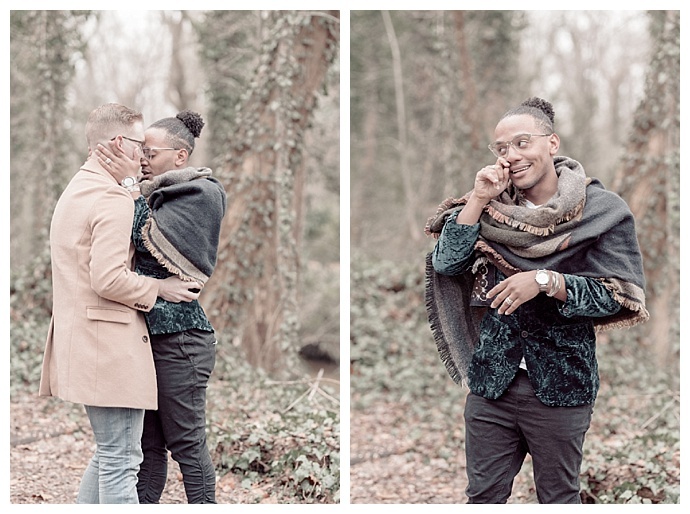 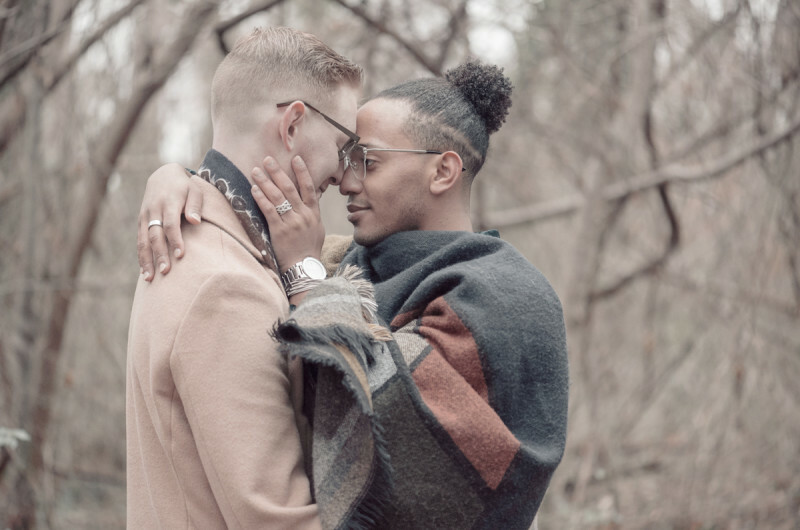 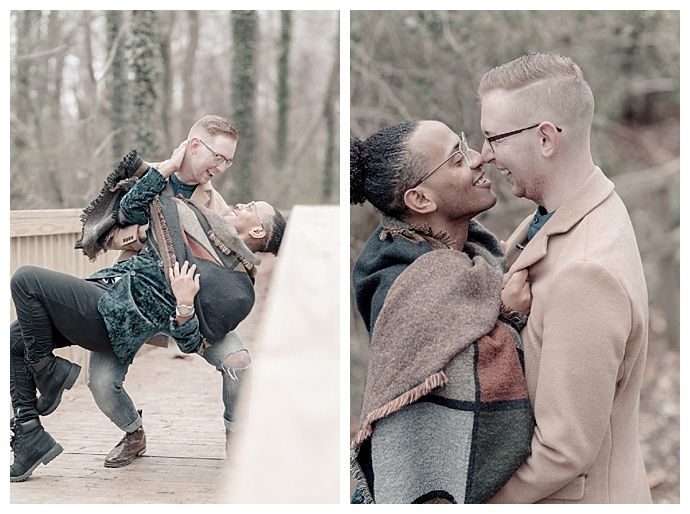 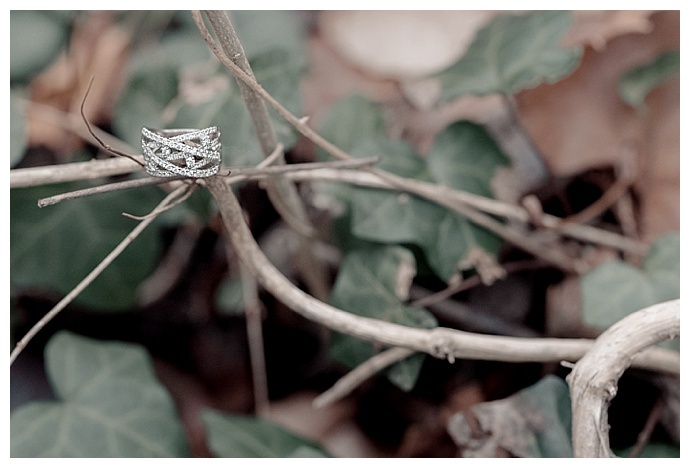 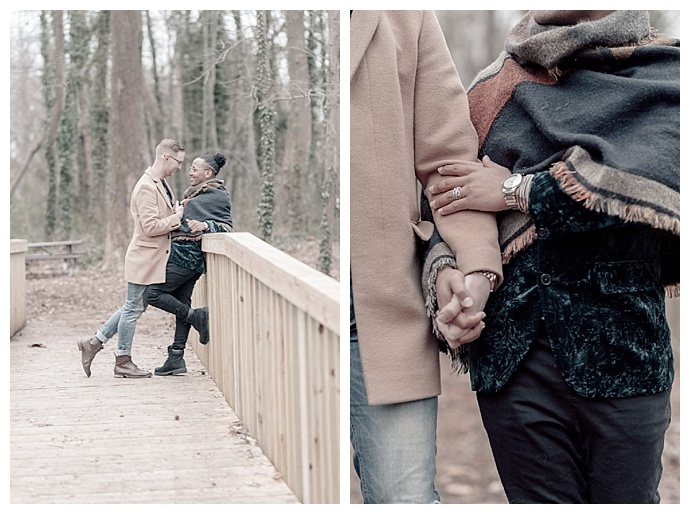 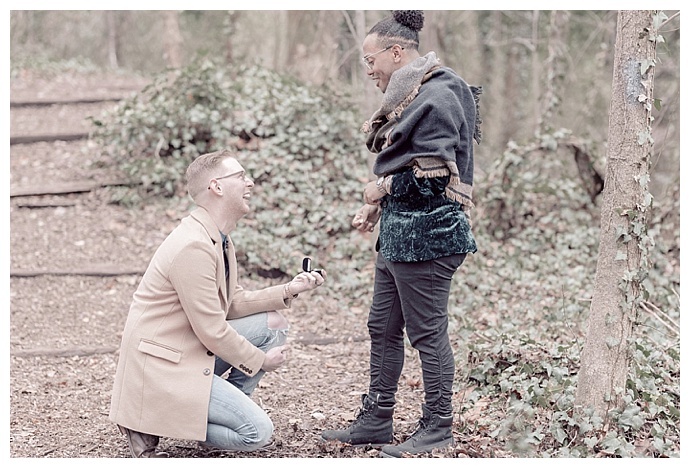 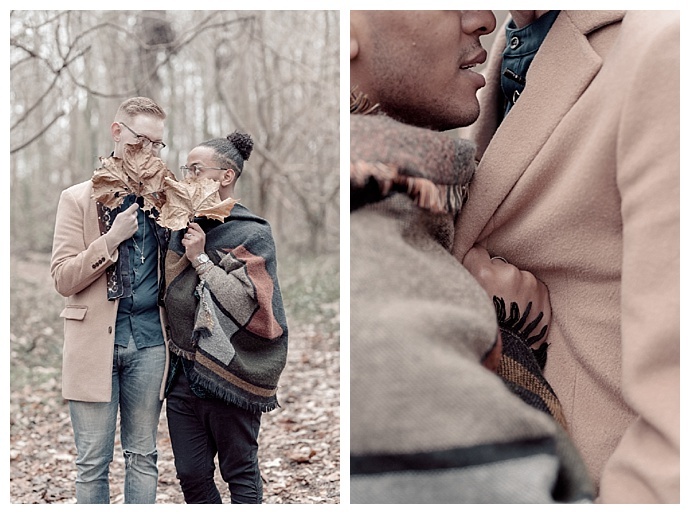 So once they found a secluded spot, Jenn Marie Photography snapped photos and Marshall Arts Studio captured video nearby as Zakkry got down on one knee and surprised Timothy with the ring of his dreams. 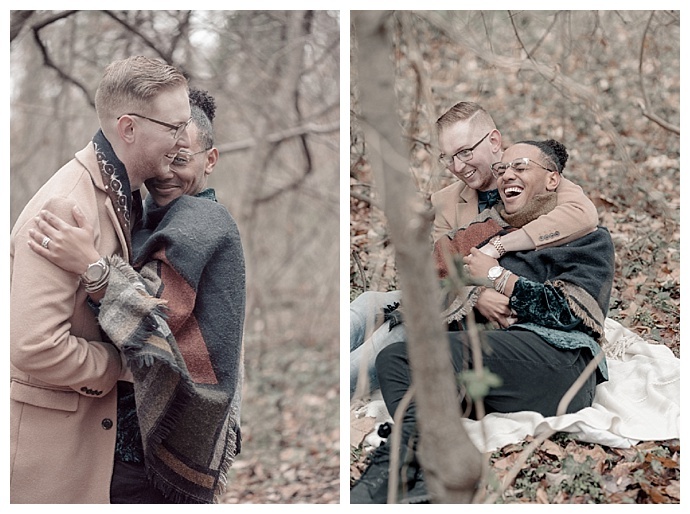 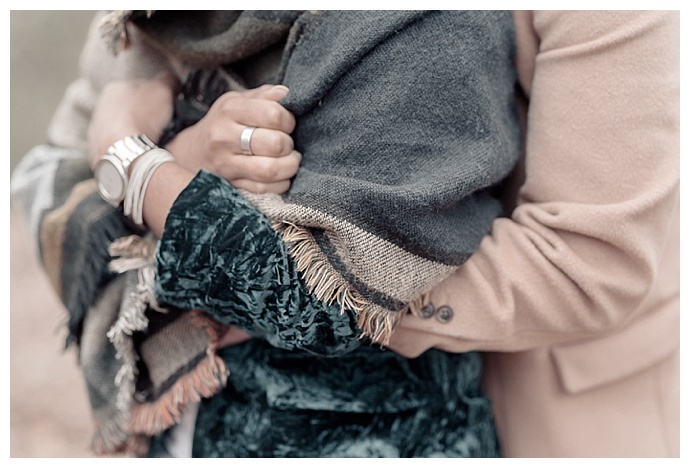 And afterward, they took some engagement pictures that perfectly captured their just-engaged glow!